What Are Some Tips For Making it Through The Holidays While Grieving? Thanksgiving, Christmas, New Year’s and Chanukah, as well as birthdays and anniversaries, can be extremely difficult for those who have experienced the death of a loved one. The perceived joy and happiness that everyone seems to be experiencing may only intensify the sadness, grief and loneliness felt by the bereaved. However, with a little planning, the holiday season may be less painful. First of all, we must realize that it is okay to be sad or anxious during the upcoming season. Our grief ay manifest itself as loneliness, anger, guilt or fear. Or we may feel headaches, a change in sleeping patterns, a change in eating patterns, a loss of energy or a surge in energy. All of these are normal, and may be exaggerated during the holidays. And remember that it is okay to cry. Tears are healing and cathartic. And secondly, we must give ourselves permission to feel joy. Feeling good, laughing, and relaxing are in no way disrespectful to our loved ones. We must set limitation on what we are able to handle this year, and decide what traditions may need to be tabled for a year or two. Are we going to put a tree up? Are we going to cook and bake? Are we going to midnight services? Are we going to shop? It is okay to alter traditions for a year, or to end some traditions all together. Give yourself permission to do what you want or what you can, and to exclude what you can’t. Finally, take some time to memorialize our loved ones. Light a candle for them or purchase a gift for them and then donate it to charity or offer a special prayer for them. Maybe make a special trip to the cemetery. Put an empty stocking out and tell visitors to write their favorite memory down and tuck it in the stocking. While these activities may bring some tears, they can also be a source of comfort and strength. Hopefully these tips will help make your holiday season a little less painful than you anticipated. The Directors, and Support Staff Members at Proko-Wall Funeral Home & Crematory are here for you; in your time of need, or whenever you have concerns or questions. For assistance in time of need, with prearrangement, or for further information, please call 920.468.4111 (24 hours a day, 7 days a week). Kindly let them know that you read this article in the Green Bay News Network. 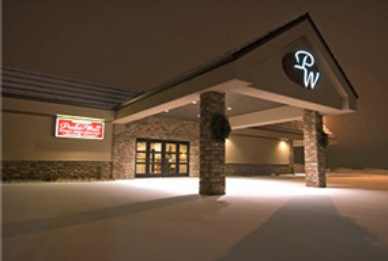 Founded in late 1969 by the late Gerald Proko and Bob Walczyk, Sr., Proko-Wall Funeral Home was established on what was known as the far east side of Green Bay. The business has grown to six fully licensed funeral directors, a certified pre-planning specialist, 18 additional full and part time staff, a licensed in-house crematory and a full service pet funeral home. Proko-Wall continues to deliver the unique brand of service that families have become accustomed to since 1969, with the ownership transferring to Bob Walczyk Jr. Long ago, Jerry and Bob Sr. realized that a funeral was much more than just a service, and were committed to helping a fmily keep the memories of their loved ones alive. Proko-Wall continues to help families create unique tributes to a life lived and is dedicated to walk with a family after the ‘service’ is over.